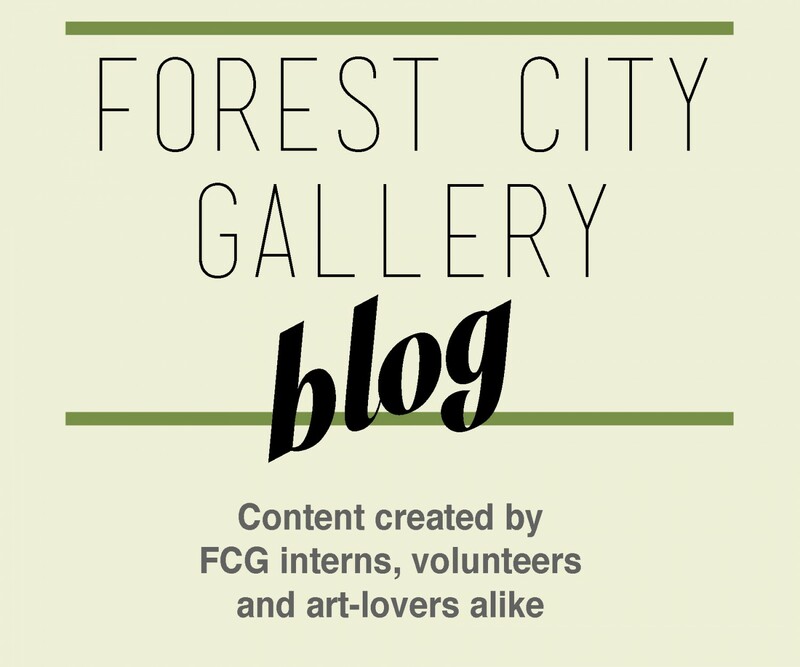 Forest City Gallery Volunteer Blogger, Janeen Mills, checked out FCG’s past exhibition still presented by Montreal-based artist Marigold Santos. Below, Janeen elaborated on her experiences when entering the exhibition, and her take on Marigold’s large-scale, folklore-based paintings. Upon walking in the gallery one is transported into Marigold Santos’ secret world of self discovery. Her paintings playfully colour the white walls of the FCG with vibrancy and enthusiasm. Enthralling and almost hypnotic, the exhibition still allows the viewer to forget everything else except for Santos’ over-sized, brilliant paintings. Santos’ interest and subject matter consists of experiments with narratives that express her childhood memories and experiences with her immigration to Canada as a child. With these narratives she attempts to investigate her identity and the meaning of “home.” Her own past is a strong theme that she uses continuously in her practice and the meaning of adulthood as a transformation from childhood. Santos completed her BFA in print at the University of Calgary. She pursues an inter-disciplinary art practice of: painting, drawing, sculpture, animation, sound and anything that helps her convey her experiments with her identity and home. Her print background reflects in Still with prefect attention to fine details in the exhibits four paintings. For still Santos used a mixture of materials like charcoal and chalk accompanied with acrylic paint. Her attention to detail is flawless and intricate. Her talent resonates through the canvas and paint; her craftsmanship can be compared to that of Northern Renaissance artists with her precision in fine details and messages being conveyed. Not a stroke is out of place, which allows viewers to feel as if they are within the foreground of the painting. With this specific exhibition she was influenced by childhood games, Filipino folk-tales of witch and vampire characters known as Asuangs. She ties this in with the exploration of the body through environmental landscapes and its resulting end of decomposition and decay. The exhibit consists of four over sized paintings on canvas. The first painting done in charcoal and acrylic is black and white with hands as the subject matter. The hands gracefully touch each other and seems as if they are touching for the first time. The use of charcoal with acrylic for this piece, gives the painting’s background a smoky glow that highlights the hands. The painting is so detailed and graceful that it is tempting to reach out and try and touch one of the hands and feel the need to feel what the hands are experiencing. It draws on the viewer’s emotions and inspires a sense of intrigue, yet stillness at the same time. The three other paintings, two of which are landscapes are vibrant and full of movement. The first is a dark eerie field that is lit up with bright coloured kites gliding in the sky. It’s as if one can feel a gush of wind rush by while viewing it. It is a cathartic reminder of being a child and the excitement felt when flying a kite on a perfect day despite possible unhappiness going on, which the eerie field conveys in contrast to the bright and lively kites. Another painting is a portrait of a woman, which calls upon the viewer’s attention with her straightforward gaze. The vibrant turquoise background enhances the power of this gaze; it feels as if the woman is attempting to connect or voice something of importance to the viewer, but is unable to because of a barrier between the viewer and herself. 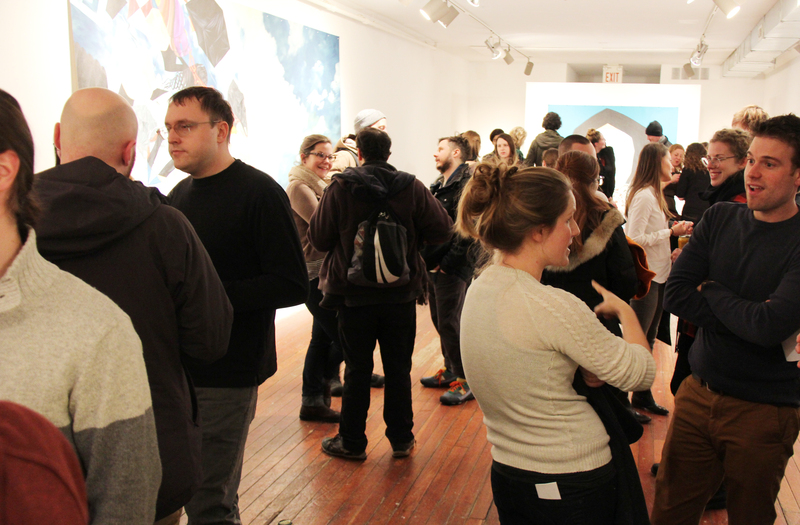 Santos currently lives in Montreal and continues her creative pursuits and story telling through her practice there. Her next exhibition in 2014 will be held in Richmond BC in coordination with another artist.